Our building inspires people's imagination and, even though it was never intended to be a metaphor for anything else, we are delighted that it has this effect. The Museum employed the internationally known architectural firm of Hardy Holzman Pfeiffer Associates of New York and Los Angeles, but most of the design elements were the result of local ideas and input. In designing the roof the architects suggested a shape that followed the slope of the land and helped create a very high center point so that the roof would be visible and project above the surrounding streets. The original design presented by the architects looked much as it does now except the building had a peaked roof. The vaulted arch shape was suggested by the local design committee. When the architects were interviewed one of the outstanding aspects of their presentation was the emphasis they placed on the idea that "together we will make a building!" They were true to their word, and with their keen design sensibility and local ideas we have an utterly unique building. "Together we will Make a Building"
Are you curious about this unique building? Explore the story of the creation of the San Angelo Museum of Fine Arts' Building. Meet the architect, museum director and construction supervisor and learn why this building was truly a collaboration in design. 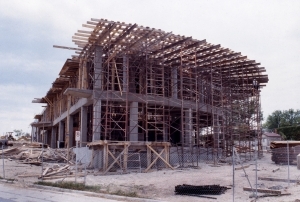 A large part of our building is constructed of materials from our region. For example, the exterior walls are built of massive blocks of limestone from Texastone, a quarry in nearby Garden City. The floors in the public areas are made of blocks of endgrain Texas mesquite. Native Texas red clay blocks from D'Hanis are used for the distinctive elevator tower. 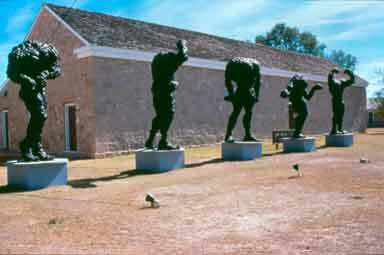 The Museum's original building was located in the former Quartermaster's Building at Fort Concho National Historic Landmark. It maintained the historic character of the original building on the exterior but was beautifully adapted inside for modern museum use by the noted Dallas architect Bud Ogelsby, a native of San Angelo (pictured right.) Many of the features of our original building at Fort Concho found their way into the design of our new building; for example, the high ceilings with exposed wood planking, molded wood beams and tie rods can be seen in our new structure. There was a mezzanine area in the former building where visitors could look down into the main gallery and there is a similar feature at our new building. 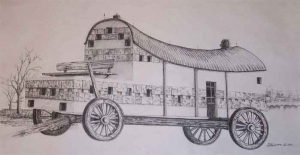 Our building is constructed in the shape of a long narrow rectangle, which parallels the shape of our former building and others at Fort Concho and the nearby Historic Santa Fe Orient Depot and Freight Terminal. This shape also reinforces the adjacent pedestrian walkway and the Paseo de Santa Angela. Beyond these noticeable physical aspects of the Museum's new building are subtler but profoundly important design elements. We have endeavored to create one of the most welcoming, friendly and community-centered museum buildings in the nation. In most museums the offices are difficult to locate. Our offices are at the entrance and open to the public. Our collection storage areas are a combination of areas open to visitors to walk in and look. One area, however (for critical security reasons), is only lit and visible. If a visitor requests to enter this visible area we will grant that request if a staff person is available to do so. We also allow visitors to enter our exhibition and collections processing area when staff is on duty. This is unprecedented but does not compromise the important safety and security concerns that all museums must adhere to. We carefully protect the items in our trust but also provide the visitor with a much better understanding of how the museum functions. Among the design criteria we presented to the architects was the idea that our building should look like San Angelo. Through its shape and use of materials we believe that goal has been accomplished. 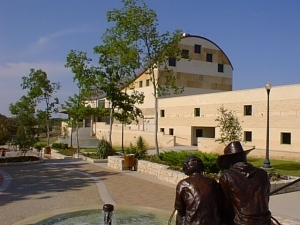 In the evolution of the design we came up with a way for the building also to give visitors a way to look at San Angelo. 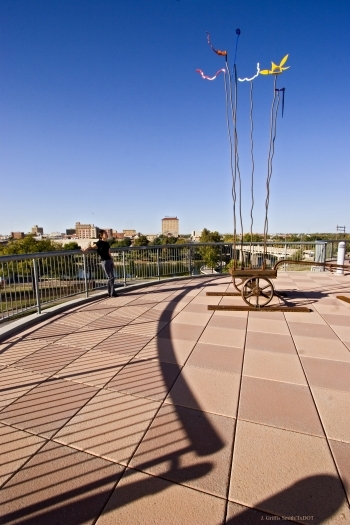 We have a four thousand square foot, open air rooftop deck that offers a dramatic and beautiful view of the nearby Paseo, River Stage, Concho River and the Downtown San Angelo skyline. 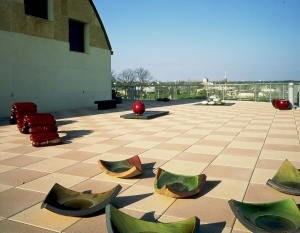 This deck is heavily reinforced and can hold the weight of the largest works of sculpture. Visitors and passersby are sometimes startled to see a giant crane hoisting a massive bronze or stone sculpture onto the roof for changing sculpture exhibits. The deck has become a favorite location for parties and military re-enlistment ceremonies. View of the Paseo de Santa Angelo from Museum Rooftop. Our building has a large multi-purpose meeting room and adjacent professional kitchen. This combination of facilities not only gives us the opportunity to present a vast range of programs-- from concerts and lectures to a televised cooking show--but also has become a major center of community life. Everything from P.T.A. and City Council meetings to weddings and proms take place here. A third major element of the building is the education wing. We devote far more space to this purpose than most museums as a percentage of the total building. We are delighted to have a collaborative relationship with Angelo State University which operates a state-of-the-art ceramics studio with large outdoor kilns adjacent to the classrooms. The University offers a wide range of undergraduate and adult continuing education courses in the ceramics studio and in all the other Museum facilities. As a part of this relationship the University also collaborates with the Museum with certain exhibitions and programs such as the Chamber Music Series and National Ceramic Competition. The museum also owns the buildings on Oakes Street that are directly in front of SAMFA. We now have the Coop Gallery and Gallery Verde. The Coop Gallery is available for rent. For more information click here. 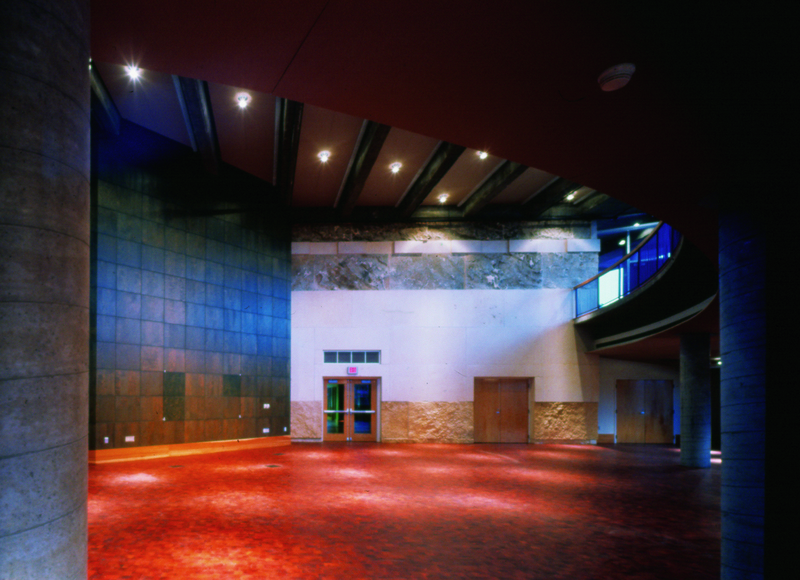 Gallery Verde currently is being used for museum events and programming. In placing the Museum at its present location the Museum's Board of Trustees made a bold move. It is located in an area that was run down and that had suffered from economic decline. It was also an area where the RU/DAT process and the city government had determined to make an effort to both beautify and stimulate revival. The Museum itself had begun and led the discussions towards this process. It seemed appropriate to build at this location. To date, the more than $8 million the Museum has spent at the site is the largest single investment in the area. All around the Museum there is now clear evidence of a dramatic revival taking place. The Museum has brought life and activity to the area nearly every day of the year. 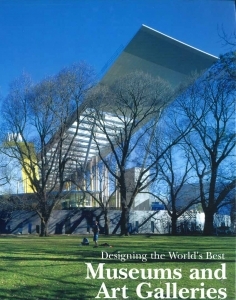 Shortly after the completion of the new building, which opened to the public in September, 1999, the employees of the Area-Wide phone book voted to place a photograph of the building on that year's cover. This was the beginning of continuing recognition in articles and publications around the world. The following quote from an article published in "Voices of Art" magazine written by Architectural Critic Jon Thompson sums up the general observations of the many articles that have been written. …"A museum is not simply a repository for art. It is an expression of the people who built it, whether they be the nobility of Florence or the civic-minded of San Angelo.…This is why the San Angelo Museum is so important, and why it is such a wonderful piece of architecture. It has meaning, and the meaning was derived from the collaboration of a wise and enthusiastic architect and a group of enlightened citizen clients. The meaning that they brought to the design is evident in the whole and in each of the parts. That meaning is local. It comes from the particulars of the place and from the shared vision of the people. This brave and very personal design is proof that a "sense of place," so valued by architects, is a dynamic, organic process, ever-changing, always growing, not a static picturesque post card. "